Robert “Bob”, Clausing, age 59, passed away at his home on November 9, 2016. Bob was born on March 30, 1957 in Port Washington, WI to Erwin and Lucille (nee Thill) Clausing. Bob attended Holy Cross and Ozaukee High. He later went on to complete Journeyman Apprenticeship Machinist training and an Associate Degree in Mechanical Design from Milwaukee Area Technical College. Bob was united in marriage to Cindy (nee Hintz) Clausing on May 3, 2002. 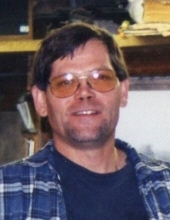 Bob was a dedicated employee of 17 years at Signicast Corp. When not busy working, Bob enjoyed road trips on his Harley, competing in horseshoe and pool leagues and socializing at the tavern. He had a passion for old cars, bikes and tractors and was very proud of his Boss 302 Mustang. Bob is survived by his wife Cindy, sisters: Mary Beth Nead, Rita (Ed) Peerenboom, Jane (Pete) Dutter, Patricia (Gary) Pinkston, brother William (Kay) Clausing, sisters-in-law Lani (Tom) Murray, Sally (Kurt) Eick, Nancy Hintz and Linda Clausing, mother-in-law Carol Trad, step-children Daniel and Erin Ballbach. Bob is further survived by his beloved dog Lexi and cat Karma as well as other relatives and friends. He is preceded in death by his parents, brother James Clausing, father-in-law Michael Trad and brother-in-law Greg Nead. A Memorial Mass will be held on Tuesday, November 15, 2016 at 6:00 PM at Divine Savior Parish, Holy Cross Chapel 5330 Hwy B Belgium, WI 53004. Father Todd Budde will officiate. Visitation will be held from 4:00 PM until the time of Mass at 6:00PM. The Eernisse Funeral Home is honored to serve the family. To send flowers or a remembrance gift to the family of Robert J. Clausing, please visit our Tribute Store. "Email Address" would like to share the life celebration of Robert J. Clausing. Click on the "link" to go to share a favorite memory or leave a condolence message for the family.